This design is free from the Crystal Palace Yarns website. 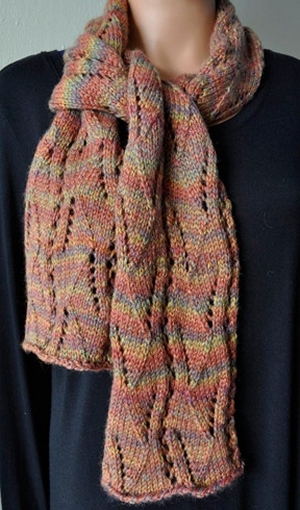 : Super pretty scarf knit with eyelet pattern. This design is free from the Crystal Palace Yarns website. Remember to download or print the pattern by following the link provided on this page, as it will not be shipped with the yarn. Size US 9 straight needles and a tapestry needle are required but not included. Finished Size: 7" x 62"